Film Plot: A day in the life of an unfaithful married couple and their steadily deteriorating relationship. Grade: C7	Fine to Very Fine. Rolled, single-sided. 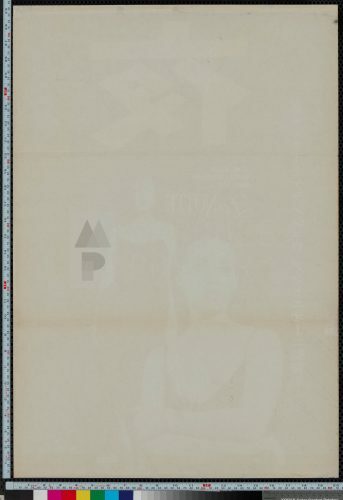 Top C7: Unused poster with minimal handling/edge wear, stored tri-folded which has left loose compression marks but no hard fold lines or associated ink loss. 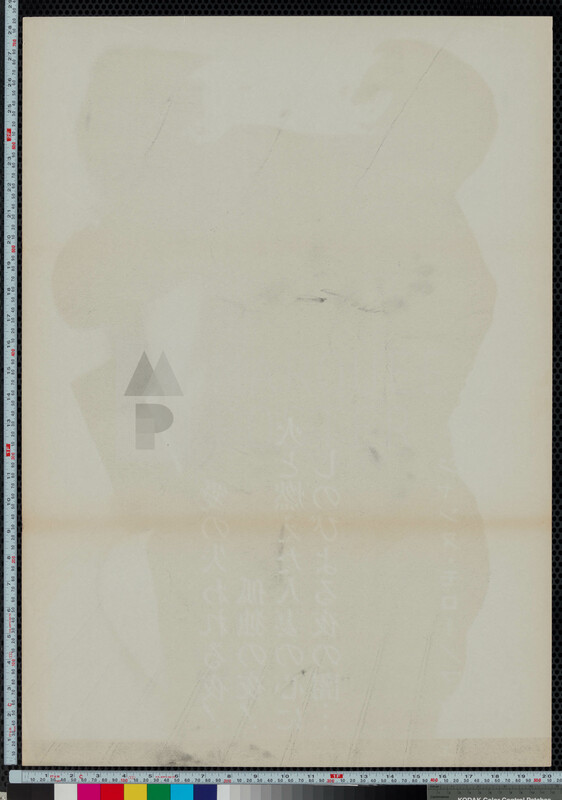 Bottom C7: Unused poster with minimal handling/edge wear, several small edge tears repaired with acid free tape on the verso, stored tri-folded which has left a slight crease along the top fold, but no associated ink loss. 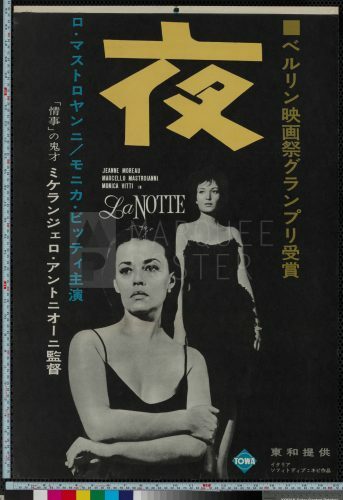 La Notte is the middle film of Michelangelo Antonioni’s loose trilogy — preceded by L’Avventura (1960) and followed by L’Eclisse (1962). Antonioni’s films stand along side other greats of the new wave and neorealist movements like Godard’s Breathless, Truffaut’s the 400 Blows and Fellini’s La Dolce Vita. It may sound cliche to say — but these French and Italian new wave films of the early 1960s truly changed the language of cinema for decades to follow. 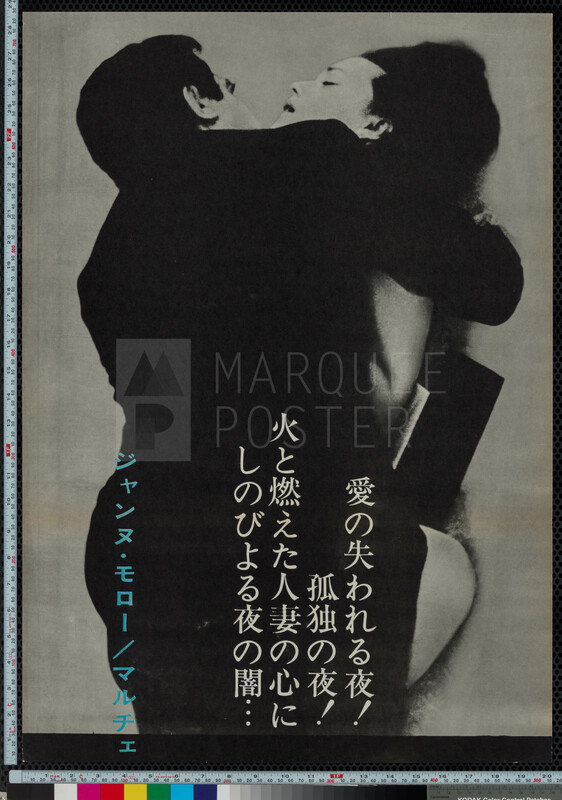 This ~5′ tall Japanese STB features a wonderful, minimalist design done primarily in black & white with a pop of color for the kanji title. This tall, slender format had very low print numbers compared to regular Japanese B2s. 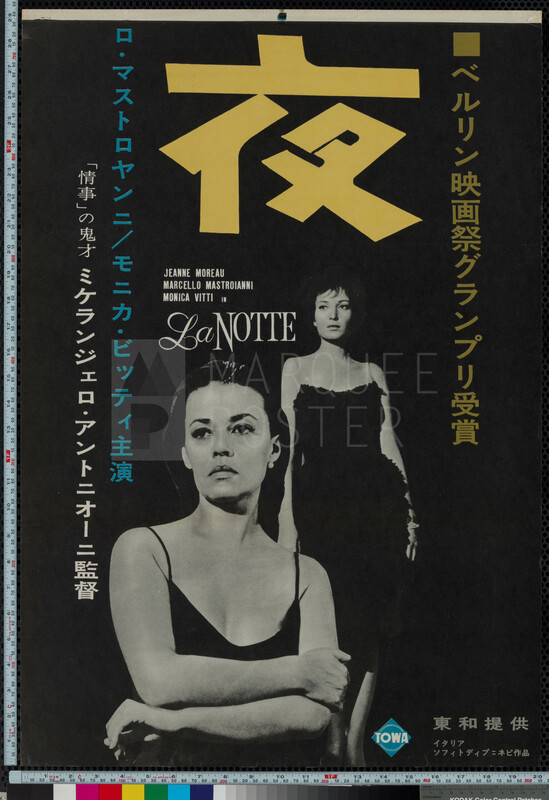 They are very rare, especially for more popular film titles, and are highly sought after by collectors today.